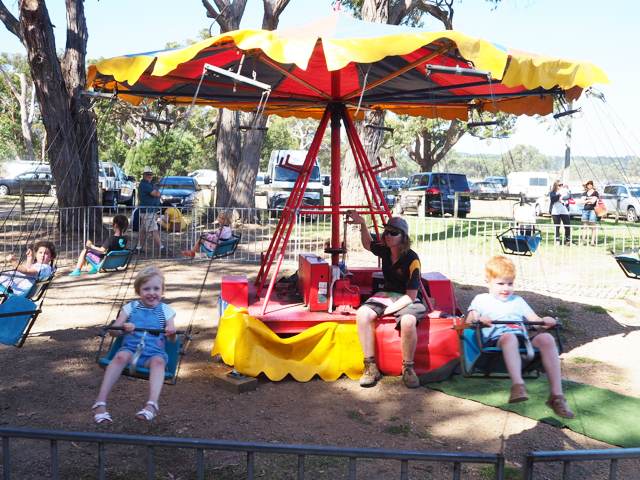 Kate and her family loved visiting the Emu Plains Market with their little ones in early January this year. What a fantastic market, lots of fun for parents and kids and the food looks so delicious, do come to the Emu Plains Market on an empty stomach! Thanks Kate for the cute pics and review. To follow Kate and her little adventure seekers, head to their Instagram page @kateflatman. 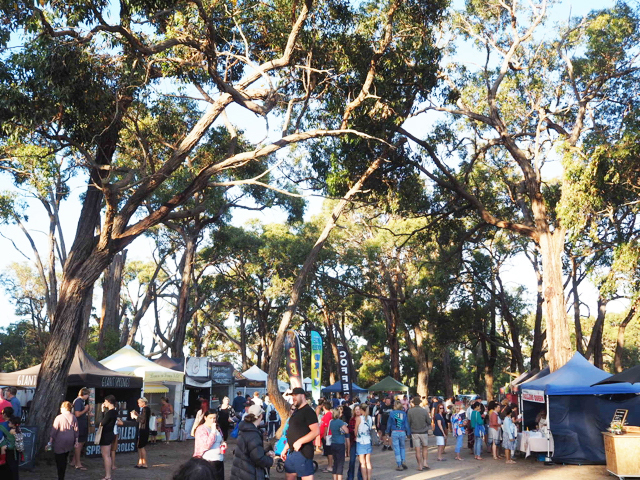 Beneath the sun dappled stringy bark canopy, the Emu Plains Market transforms the natural bush setting into a snaking trail of colourful market stalls welcoming people to the unique atmosphere. Created in 2012 by passionate locals Joel & Vanessa Johnson, the Emu Plains Market has become one of the Mornington Peninsula's favourite outdoor destinations. Each month between October and April they create a feast of art, food, design and culture set within the picturesque Emu Plains Reserve in Balnarring. We were fortunate to visit on a balmy summer’s night in January and enjoyed the first of the very special Twilight Markets. 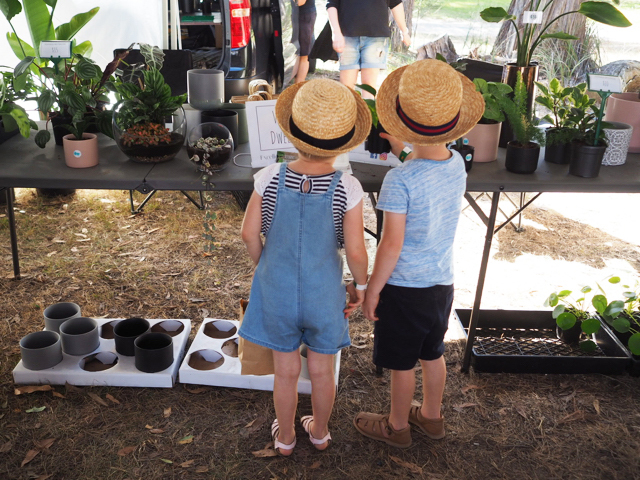 With a diverse array of over 200 talented stallholders including clothing, homewares, cut flowers & plants, art, beauty & wellbeing, jewellery, craft, farm fresh local produce, gourmet food and live music, there really was something for everyone. Of course there was also LOTS for the poppets to get excited about too including a jumping castle, face-painting, cupcake decorating and a wonderful playground in the heart of the market. The Emu Plains Market really is the perfect family activity. Pack your picnic rug, an empty stomach and kick back and relax while soaking up all the sights and sounds of the incredible festival-like atmosphere created #underthestringybarks. Parking is available onsite for $4 with the money raised helping the community projects of the Western Port Rotary Group and the Emu Plains Reserve committee for the upkeep of the gorgeous grounds. Bring cash as most stalls do not offer EFTPOS facilities. There is an ATM onsite for your convenience. Although the gorgeous stringy barks offer a lot of shade, there are still parts of the market in the full sun (including the playground) so pack a hat and sunscreen. Don't forget your reusable shopping bags and a cool pack for transporting produce home. Looking for another market to visit? Little Beauty In The Park is a stunning new event from the creators of Emu Plains Market. Typically run on the 4th Saturday of the month from October to April each year in Frankston, Little Beauty In The Park features over 100 of Melbourne’s best marketers and creators hand picked for their uniqueness, creativity and ethos. For more information on the Emu Plains Market, head to their website.